Last month, Christina Hendricks left the cast of Roadies, Cameron Crowe’s first foray into television. The comedy, produced by J.J. Abrams’s Bad Robot, tells the sweaty, whiskey-soaked tales of, well, roadies. Hendricks was set to play production manager Shelli, described as “tough and ingenious.” After shooting the pilot, Crowe decided to revamp the character, and Hendricks parted ways with the project amicably. But as the roadies presumably say, the show must go on. 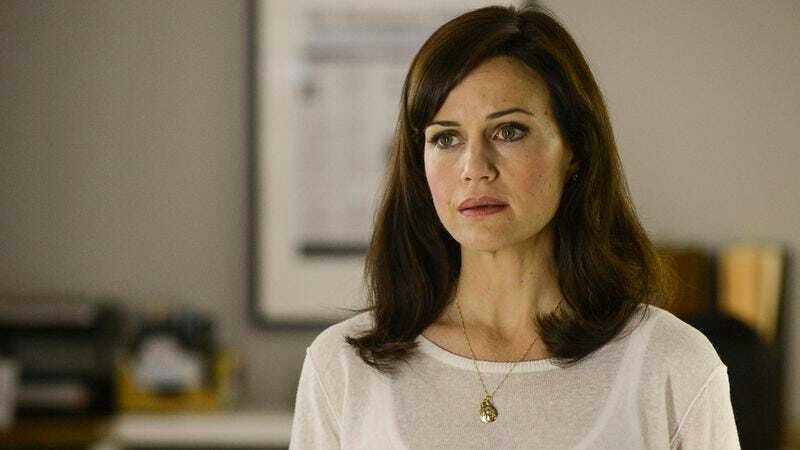 Carla Gugino has been tapped to replace Hendricks as Shelli, now described a little more thoroughly as a “world-class multi-tasker” and “passionate music fan” on the show, which also stars Imogen Poots and Luke Wilson. Wilson will play the band’s tour manager and Shelli’s work partner, with whom Shelli apparently has a complicated personal and professional relationship—which, considering Crowe’s history, will probably mean a romance. Gugino recently starred in the Fox limited sci-fi series Wayward Pines as well as the disaster film San Andreas. Her television career is prolific and spans genres, with appearances on New Girl, Californication, Entourage, and a brilliant but short-lived one-episode arc on Justified. She also starred in the late USA political drama Political Animals and as the titular character in Karen Sisco. Currently, she has a recurring role on HBO’s The Brink and will also appear in an upcoming untitled sci-fi romantic drama starring Asa Butterfield and Britt Robertson. In other words, Gugino keeps busy. Roadies will mark the first time she has played a band tour manager, but she has portrayed an impressive list of careers in film and television, including a Spy mom, a toy salesperson, a U.S. Deputy Marshal, an agent, a superhero, a journalist, a psychiatrist, a marketing exec, an attorney…in fact, it’s surprising that she has yet to play a band tour manager at this point. The Roadies pilot, which Crowe has rewritten multiple times, will undergo reshoots with Gugino. Roadies is expected to get a full series pickup from Showtime.